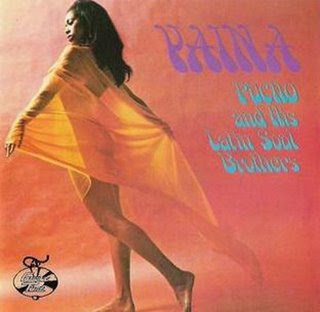 An obscure 1971 release by New York Latin soul-jazz heavyweights Pucho & His Latin Soul Brothers, this version of Yaina tacks on a remarkable reworking of the Rolling Stones' "You Can't Always Get What You Want" at the front, with an opening section even more dolorous and somber than the original that quickly shifts into a hot, percussion-heavy workout with an almost gospel-like quality. Why it wasn't on the original album is a mystery, because it towers over the rest of these songs. Not that there aren't some gems here; "Cease the Bombing" manages to make an effective anti-war statement just with flutes, vibes, gentle percussion, and a melancholy wordless vocal chorus, and a funked-up cover of John Coltrane's classic "Naima" works surprisingly well. Some of the tracks, though, are simply undistinguished riffs worked over for a few minutes and then dropped with little elaboration. Luckily, the good-to-great tracks outnumber the bummers.